A public record is any writing or recording – regardless of whether it is a paper record, an electronic file, an audio or video recording, or any other format – that is prepared or owned by, or in the possession of, a public body or its officers, employees, or agents in the transaction of public business. All public records are presumed to be open, and may only be withheld if a specific, statutory exemption applies. From a practical perspective, it may be helpful to both you and the person receiving your request to put your request in writing. This allows you to create a record of your request. It also gives us a clear statement of what records you are requesting, so that there is no misunderstanding over a verbal request. However, we cannot refuse to respond to your FOIA request if you elect not to not put it in writing. Your request must ask for existing records or documents. FOIA gives you a right to inspect or copy records; it does not apply to a situation where you are asking general questions about the work of VEDP, nor does it require VEDP to create a record that does not exist. You may choose to receive electronic records in any format used by VEDP in the regular course of business. You may also contact her with questions you have concerning requesting records from VEDP. In addition, the Freedom of Information Advisory Council is available to answer any questions you may have about FOIA. 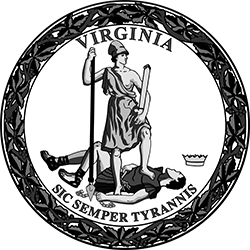 The Council may be contacted by e-mail at foiacouncil [at] dls.virginia.gov, or by phone at 804.698.1810 or toll-free 866.448.4100. VEDP must respond to your request within five working days of receiving it. "Day One" is considered the day after your request is received. The five-day period does not include weekends or holidays. The reason behind your request for public records from VEDP is irrelevant, and you do not have to state why you want the records before we respond to your request. FOIA does, however, allow VEDP to require you to provide your name and legal address. If it is practically impossible for VEDP to respond to your request within the five-day period, we must state this in writing, explaining the conditions that make the response impossible. This will allow us seven additional working days to respond to your request, giving us a total of 12 working days to respond to your request. You may have to pay for the records that you request from VEDP. FOIA allows us to charge for the actual costs of responding to FOIA requests. This would include items like staff time spent searching for the requested records, copying costs, or any other costs directly related to supplying the requested records. It cannot include general overhead costs. If you owe us money from a previous FOIA request that has remained unpaid for more than 30 days, VEDP may require payment of the past-due bill before it will respond to your new FOIA request. Information contained in the strategic plan, marketing plan, or operational plan prepared by VEDP regarding target companies, specific allocation of resources and staff for marketing activities, and specific marketing activities that would reveal to the Commonwealth's competitors for economic development projects the strategies intended to be deployed by the Commonwealth, thereby adversely affecting the financial interest of the Commonwealth. The executive summaries of the strategic plan, marketing plan, and operational plan are not redacted or withheld from disclosure (§ 2.2-3705.7(33)). The general policy of VEDP is to invoke the personnel records exemption in those instances where it applies in order to protect the privacy of employees and officials of VEDP. The general policy of VEDP is to invoke the contract negotiations exemption whenever it applies in order to protect VEDP’s bargaining position and negotiating strategy. The general policy of VEDP is to invoke the proprietary business information exemption whenever it applies in order to protect from disclosure private business proprietary information and to protect the financial interests of VEDP and the Commonwealth where competition or bargaining is involved. The general policy of VEDP is to invoke the executive working papers exemption whenever it applies in order to protect from disclosure the public records relied upon by certain public officials for their personal or deliberative use. The general policy of VEDP is to invoke the marketing exception whenever it applies in order to protect from disclosure the strategic plan, marketing plan, and operational plan of VEDP, and information regarding specific marketing activities to protect the Commonwealth’s competitive position for economic development projects.